Huge Savings! 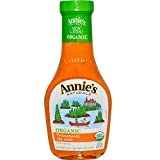 Up to 17% off on Thousand Island at Love for Salad. Top brands include Lieber's, Annies Homegrown, Kraft, Annie's Naturals, Annies Homegrow, ANNIES HOMEGROWN, Organicville, Annie's Homegrown, & Marzetti. Hurry! Limited time offers. Offers valid only while supplies last. 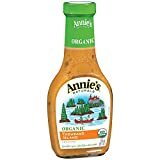 Lieber's Thousand Island Non-Dairy Dressing Kosher For Passover 16 Oz. Pack Of 6. 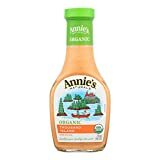 Annie's Naturals Organic Dressing Thousand Island - Case of 6-8 fl oz. 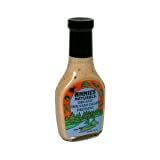 Lieber's Thousand Island Sugar Free Dressing 16 Oz. Pack Of 3. 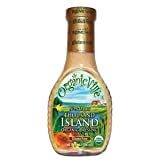 OrganicVille Thousand Island Dressing, 8 Ounce - 6 per case. 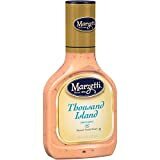 Marzetti Thousand Island Dressing 16 Oz. Pack Of 3.